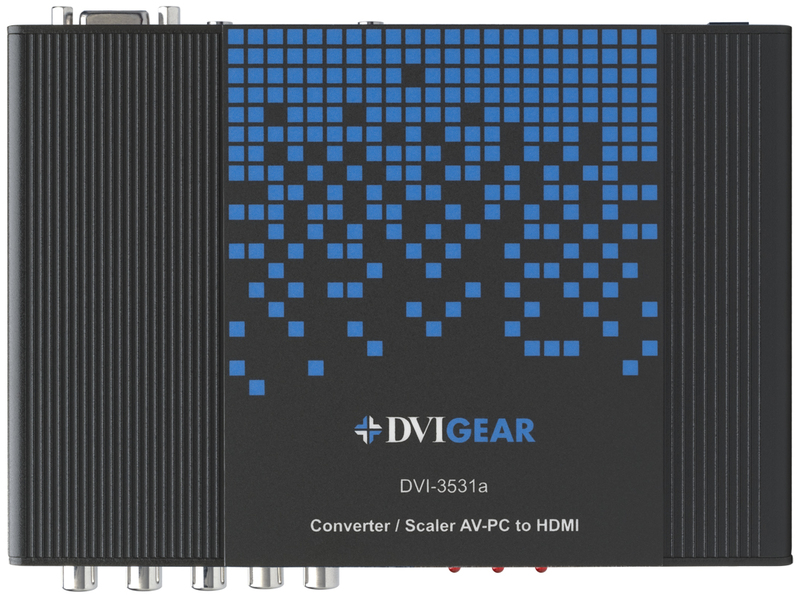 The model DVI-3531a is a flexible Converter/Scaler that provides selection of three input signal formats: Component Video, Analog RGB and HDMI/DVI. 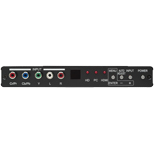 Each input format includes support for a stereo audio connection. 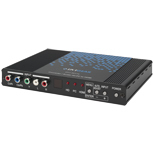 The selected input signal is converted to a digital HDMI signal with embedded audio. 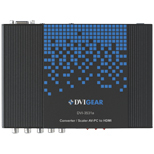 The DVI-3531a accepts a broad range of input signal resolutions and supports pixel clock rates up to 165 MHz. 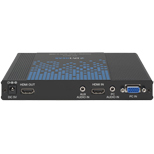 Two high performance scaling engines provide user-selectable output resolutions up to 1080p and 1920x1200. 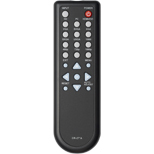 The unit is controlled via intuitive on-screen menus, which can be accessed via front panel controls or by an included IR remote control unit. 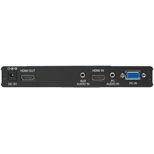 These features make this unit an ideal solution for applications where legacy analog video sources must be integrated into digital HDMI/DVI display systems. 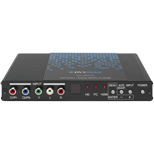 Note 1: This signal is actually 480i@30Hz doubled, or 576i@25Hz doubled.